Jane Zoega is a psychologist and psychotherapist. She is a member of the British Psychological Society (BPS), and a registered member of the British Association for Counselling and Psychotherapy (BACP). Jane has a BSc(hons.) in psychology and an MSc in psychotherapy and counselling from Middlesex University. Jane’s approach to psychotherapy and counselling is to draw on various psychotherapeutic models such as CBT (Cognitive Behavioural Therapy), Mindfulness based interventions, Schema focused therapy and psychodynamic therapy. Each client arrives with a unique history and current struggles so the focus is very much on the individual. Psychotherapy and Counselling can be painful at times, often life-changing and can take a few sessions, or may need longer term counselling. Jane has worked in private practice and in the voluntary sector. She has worked in a residential addiction treatment centre for English speakers in Thailand where she worked with individuals, facilitated group therapy and delivered psycho-educational groups. The main approach was CBT and Jane contributed to writing the recovery programme whilst employed there. Mindfulness is part of life in Thailand where the majority of the population are practising Buddhists. Jane spent time in Chiang Mai, Northern Thailand in a temple practising and learning more about meditation and mindfulness. Before returning to the UK she spent time in an Ashram in India completing a 250 hour yoga teacher training certificate. 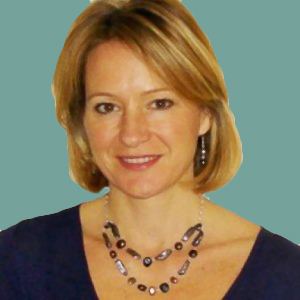 Jane divides her time between Dorset and London where she has a private practice. In Dorset Jane works in Swanage and Wareham teaching yoga, running mindfulness groups and offering counselling to individuals and couples. Jane works for a local Charity in Dorset called, Hurting 2 Healing where she supervises counsellors. Publications: Jane has contributed one chapter to a book published in 2017; Counselling Adult Survivors of Childhood Abuse, from Hurting to Healing. Jane has many years experience working with trauma and childhood abuse. There are long-term effects of childhood trauma which often present in adult life and in adult relationships. Working through this trauma can be extremely difficult, painful, but can also be liberating and life-changing. For more information about how I work with childhood abuse, please get in touch if you have any fears or questions. Please feel free to call Jane on 07778 515599 or e-mail if you have any questions or concerns regarding therapy.